From traditional to transformational, the treatments on an ISM Spa menu are nothing of the ordinary. Spa is simply one aspect of wellness. Our approach to programming expands upon the traditional definition of spa. We design a completely holistic environment that enhances the wellness experience sometimes in ways that your conscious mind cannot yet see. We approach our unique programming through manipulation of the physical and the energetic experience to achieve a desired result. Guests who visit our spas often share that they had "the best treatment of their life" or that they have been "forever transformed." Colors: What feeling do the colors of the facility give people? How do they connect to the chakras? Textures: What are the health benefits of the quality of the linens on the table? How do the materials feel against the skin? How do they heighten the experience? How do they contribute to overall wellness? Space Design: Has the design taken into account the inventory needs to provide the services and created ergonomically correct storage so that there is a seamless exchange of obtaining product/supply and applying? What journey does the guest follow during approach, settling in, receiving, relaxing, checking out? Is it well planned? Lighting: This critical part of the overall experience defines and directs focus. Scent: The sense of smell is closely linked with memory. Each wellness experience is enhanced through high quality scent that builds upon the goal of the experience. Essential oils can be applied and diffused to add value to the overall experience quality. Provider: Massage Therapist, Personal Trainer, Esthetician, Physician. Each person is responsible for creating a space that gives way to healing and personal improvement for the guest. Our role is to empower, train and ignite the passion within each of our providers to bring to life the physical protocol they are following. Sound: Have the appropriate sound barriers been used in each area of the facility? What white noise program is being used? How does the music selection relate to the brand and what is the overall personality of the music selection as the guest travels from one area of the facility to the next. Temperature: Certain experiences require temperature contrasts. Certain places need constant temperature. How is the temperature of the table regulated? Services such as traditional massage as well as unique healing therapies are found to aid in relaxation and rejuvenation. The Spa’s focus treatments use our Mindful Waves technology. 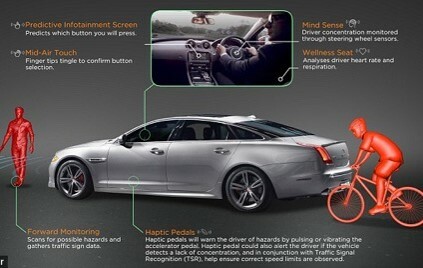 Currently used in Jaguar vehicles, Innovative Spa Management now has the license to offer brain training technology that is proven to improve focus and deepen awareness. Guided Meditation programming as well as sleep support training programs help people experience the benefits of transformational sleep and healing. Each treatment room has been converted into a 'living wellness library' that help guests understand how to recreate a luxury spa quality experience at night to facilitate better sleep. Personal Training programs focused around corrective exercise and proper muscle function restore mobility and decrease injury.